Is there Science in Science Diet? Is there "Science" in Science Diet? Are prescription foods like Science Diet great nutrition or garbage?? 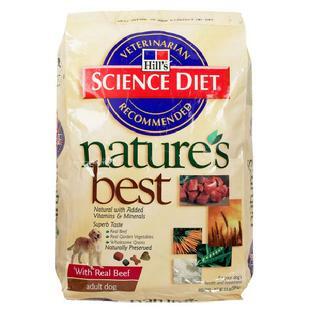 1) I am currently an employee of Hill's Pet Nutrition, the makers of Science Diet. My job is primarily an educational role as a Practice Development Veterinarian serving the greater Bay Area of California. 2) At the time of writing this article I was working as an associate veterinarian on salary (non-production based). I had no idea that I would be applying to Hills. I have developed an interest in nutrition over the last few years which lead me to writing this article and then eventually applying to Hills. 3) I have been a long time supporter of certain companies based upon their quality of products, commitment to service and overall mission. When I decided to change directions within my career, there were only a few companies that I considered applying to. Furthermore Hills was the only nutrition company that I applied to or would have considered applying to. I feel fortunate to have an educational position within this company. When you read this, please read it from the standpoint that I wrote it - as a practicing veterinarian. Thank you. Why do some veterinarians recommend Science Diet or other similar foods? This is a question that I occasionally hear from clients in the exam room and much more often read on the internet. It is a valid question the answers are important to understand in order for people to be able to make an informed decision when their veterinarian recommends or prescribes a specific pet diet. Hill's Science Diet, Iam's Eukanuba, Royal Canin and Purina all have over the counter (OTC) diets that are available for everyone to purchase as well as prescription only diets that must be obtained through a veterinarian. The prescription-only diets have been modified and designed so specifically for certain medical conditions that they are not appropriate for OTC use. Due to familiarity and interaction with the prescription diets, many veterinarians feel comfortable in recommending the companies' OTC brands as well. With so many different diets and so much varying and conflicting information on the internet, it can be overwhelming for many pet owners to make a choice. There is additional confusion with prescription diets. Sometimes people may think, "Okay, fine, the food says is helps with kidney disease, but the internet seems to say that the food is "the devil's brew". My pet doesn't really like it and it is expensive. Is my vet just trying to make her car payment??!" So this article will address three of the most common internet complaints against Hill's Science Diet and explain the truth behind them. I will focus Hill's Science Diet as they are the largest prescription pet food company with the widest variety of prescriptions. Most of the points on Hills will cover the other prescription food companies. While I prescribe many different brands, I end up using Hill's more often. I should point out that, as a matter of disclosure - 1) I am a veterinarian if somehow that isn't already apparent and 2) I do not make a single cent from prescribing Hill's Science Diet or any other food. I am on a non-production based salary. It will go briefly over some of the diets that are really great and innovative. 1) The first ingredient is corn. 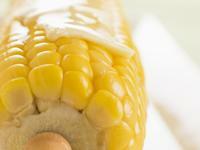 Corn is a filler; it is neither digestible nor good for pets. And to top it off, it causes allergies in pets. Many people who eat whole corn kernels may have noticed a disturbing site if they have ever looked at their stool the next morning. They see whole corn kernels. Gross, but also proof that it isn't digested. Or is it? Carbohydrates. While too much carbohydrates is undesirable, every mammal also needs carbohydrates as they make up a large portion of the body's energy source. The importance is balance. Vitamin E is important for it antioxidative effects and use in the nervous system, red blood cell production, prostate and more. Fatty acids such as linoleic and linolenic acid used in the health of skin, hair, immune system and nervous system. True, there are other more rich sources of omega fatty acids but this is why corn is only part of the ingredients. Protein. While corn is not a main source of protein, it nevertheless has proteins that the body can use in muscles and tissue growth. In fact, using sources of protein other than meats help balance nutrition. When diets have protein solely from meat, their calcium and phosphorus levels are higher. For some pets, especially with pre-existing conditions (like kidney disease, urinary stones or crystals), eating more calcium and phosphorus than necessary can be very harmful. So why don't all dog and cat foods use corn? With all the hype against corn on the internet, it is no wonder that some companies use other ingredients in order to stay up with marketing fads. Also many of the dog foods still use corn but hope to just disguise corn by its technical name zea mays to market to people looking for grain free food. This is a common technique. So if you are looking for a totally corn-free pet food, make sure you scan the ingredient list for zea mays! But corn can cause stomach upset and allergies!!! A "hot grain" is a grain that causes stomach irritation by virtue of being of a low or non-digestible nature. As we have covered, when corn is cooked and ground, it is easily and highly digestible so is not a "hot grain". 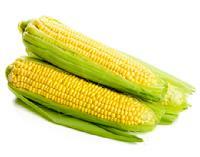 Corn has fewer allergy cases than other protein sources, such as: beef, dairy products, wheat, chicken, egg, lamb and soy 8 . WOW! When we combine corn and rice together, they only make up 4% of all the food allergies in dogs! So maybe corn really is the Golden Grain! 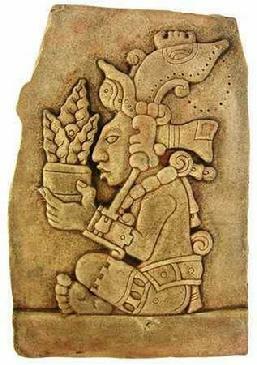 The amazing nutritional properties of corn have been known for a long time; perhaps, this is why the Mayan calendar began in accordance to the planting of corn.9 According to Mayan mythology the first humans were made out of corn. 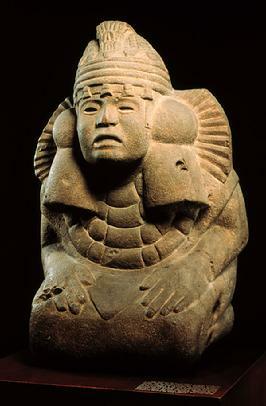 There are also several corn goddesses: the Aztec Chicomecoatl, the Cherokee Selu, and Iyatiku of the American southwest Keresan tribe. So is corn the best thing ever? No. 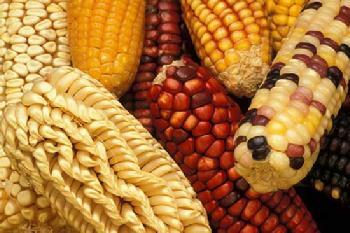 Corn has many advantages as a nutritional ingredient but it is not the "perfect ingredient". I am not sure anything is. Do some pets have allergies with corn? Sure, but less than lamb, beef, soy, etc. Finally remember that the quality of any meal is based upon the correct mixture and preparation of the ingredients. So when properly mixed, cooked and utilized with other key ingredients, corn can be a very acceptable ingredient for both dog and cat foods. This doesn't mean that you should throw out any food that doesn't have corn; just that you may not want to necessarily condemn one that does. Hills has by-products. How processed is too processed??! 2) Hill's Science Diet contains chicken by-products. It is not healthy to have things overly processed! By-product is such a gross and unhealthy sounding term. I mean yuck! I certainly don't want to eat a by-product; I want to eat something healthy, non-processed and natural like brewer's yeast or molasses. Um... wait a sec... brewer's yeast and molasses are by-products. Brewer's yeast is a by-product of making alcohol and molasses comes from sugar refining. There is something in the name though! Brewer's yeast sounds better than an ethanol fermentation by-product and molasses sound better than 6-(hydroxymethyl)oxane-2,3,4,5-tetrol (the crazy and yucky sounding name for sugar!) extraction by-product. However you name it though, they are the same substances. "So what is a by-product then? And are you telling me that they are all really wonderful then??!" A by-product is something that is made in the process of making something else. It can come in two main methods, mechanical or chemical/biochemical. Chicken by-product is from the first category, the mechanical. Simply put when a dead chicken is cut and chopped to keep the parts that most people like to eat, the "leftovers" are called "chicken by-product". Thus chicken byproducts are, ipso facto, processed to the exact same degree as "chicken" - no more, no less. These leftovers commonly include internal organs like stomach, intestines, heart, liver, etc. They also include the head and feet. So by-product is a very wide term! There are many terms that we need to be wary of. A good example is the term "all natural". When we say that something is "all natural", we think that it must be safe, however, Socrates did not find the "all natural" hemlock solution very salubrious when he had to drink it. Nor would dogs or cats that suffer from toxic ingestion of a myriad of harmful plants agree everything "all natural is good". In fact there is a growing concern with many of the "all natural" remedies as some of the plant parts may contain harmful tannins or resins. Just because an herb or vegetable is safe to eat does not mean that all parts of the plant is healthy. If tapioca is not properly processed, it can contain deadly amounts of cyanide (a situation of not enough processing!). The leaves and stems of the tomato, eggplant and potato plant are toxic. So when separating these leaves and stems from the vegetable, the all natural tomato by-products are toxic. So as much as "all natural" products may be great or terrible, so must by-products be thought of living within this range of good and bad. The key is knowing when to watch out. One of the benefits of chicken by-products is that in addition to the protein that a basic chicken breast would supply the internal organs, bone marrow, joints, and skin supply many additional nutrients. Wild predators know this as the internal organs are often the first thing eaten from the prey. The liver, kidneys, pancreas, adrenals and intestines have high levels of vitamins, essential fatty acids, antioxidants and other key nutrients like lipoic acid and iron. Furthermore the joints that are included supply high levels of glucosamine, chondroitin and MSM which are needed for joint health including anti-inflammatory effects. You don't get that from just a chicken breast! 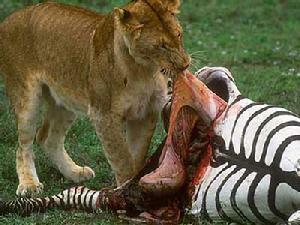 So wild animals know how important all parts of the animal are to eat. They know that skeletal muscle makes up only 30-45% of the body mass (approximately 30% of which is found in by-product cuts) and that much of the nutrient value is in the internal organs, viscera and joints. Thus if they only ate the human choice cuts of the chicken, they could miss up to 79% of the prey's mass. As humans, we may not find the internal organs, vicera and joints particularly appetizing but in nature, it is part of the main course! So does this mean that I want chicken by-products in my pet's food? Were does your pet food's meat come from?? Yes and no. My major problem with by-products is the same as I have with the ingredients labeled: "chicken", "beef" or "lamb". Where are these animals coming from? The US? Are these animals exposed to growth hormones, antibiotics, pesticides? What are they fed? Currently Hill's Science Diet does not get any ingredients from China. 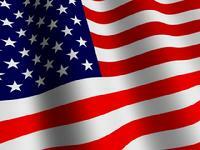 All meat sources, by-product or otherwise, come from the Unites States of America. So just as corn is indigestible or digestible depending on whether it is uncooked, unground or cooked and ground; by-products are unhealthy or healthy based upon where they come from. 3) Hill's Science Diet uses artificial preservatives. How are Science Diet dry foods preserved? All Science Diet dry foods are naturally preserved with mixed tocopherols [from soybeans] and citric acid. 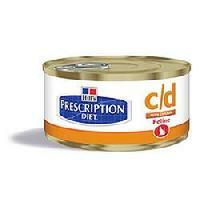 How are Prescription Diet dry foods preserved? 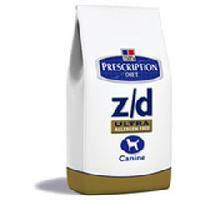 All Hill's Prescription Diet dry pet foods are preserved to ensure your pet enjoys our food's great taste. As of Oct. 1 2008 all Hill's Prescription Diet dry pet foods are naturally preserved with mixed tocopherols [from soybeans], citric acid and rosemary extract. 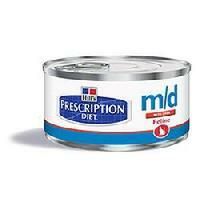 How are Hill's Science Diet and Prescription Diet canned foods preserved? There are no preservative added to Hill's canned products. The canning process naturally preserves the food. This is similar to when we might can green beans or tomatoes. A less common myth: Hill's Science Diet puts sawdust in their foods! Did I count wrong??? I thought you said three myths?? Yes, I covered the three most common ones. This fourth myth is not common but does surface a bit on the internet. Because of the veracity of the complaint, along with the slight of hand used in its accusation, I thought I should address it. So where does the myth of sawdust in dog food come from? Hills's Science Diet uses cellulose as their main insoluble fiber. Where does the cellulose come from? The maple tree. So some might say, "Ah ha! It has fiber from a tree, ergo it is sawdust. QED." Well, not so fast, and if you thinking this, then you should really read on because you are about to learn that you eat this same "sawdust" too. All the time. Furthermore, it really isn't sawdust in any real use of the term. 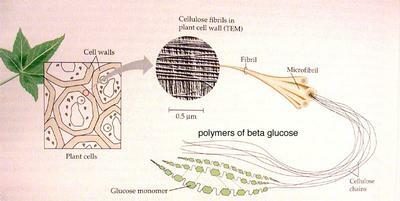 Cellulose is the primary structural compound of all plant cell walls. 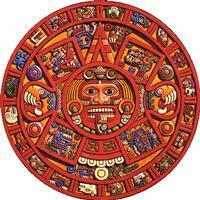 It is made up of several hundred to several thousand glucose molecules. Glucose is the primary sugar in our blood. This simple sugar (monosaccharide) can be linked (forming polysaccharides) in a couple of common ways. If you link them one way you get starch. Starch is a digestible polysaccharide and the most common carbohydrate source. You will find starch in potatoes, corn, wheat, etc. If you link sugar another way you get cellulose. Cellulose is a non-digestible and insoluble form where we get most of our fiber from. This is the same fiber we get from our celery, green beans, etc. If you remove all other molecules from the plant, the cellulose of all plants will be the same have the molecular formula of (C6H10O5)n. So why can't we eat trees, like maple? Well, it is because of everything that is inside and out of the cell walls other than cellulose. For example if you do not process the cassava root to remove the deadly cyanide compounds from it, you get a bowl of death instead of a bowl of tapioca. So no, you should eat neither a unprocessed cassava root nor a piece of maple. 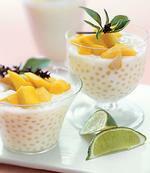 If you want to eat tapioca or cellulose fiber in your yogurt, then enjoy! 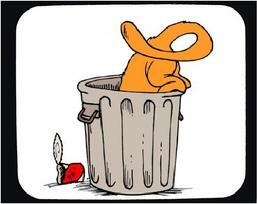 But why maple for gosh's sake? Well, the answer is two fold. Firstly, cellulose is cellulose as long as it is purified. Pure cellulose is a fine white dust when purified. Food Grade cellulose is 99.99% cellulose - nothing else left of the original plant, be it maple, green beans, hemp, etc. The second reason is that is that the manufacturers of food grade cellulose need a large supply source. Why? Well because of all the human foods that cellulose goes into. When you eat foods with fiber, it is often cellulose from maple trees. The legal term Food Grade does not distinguish between human and pet. Thus when Hill's or any other pet food purchases Food Grade Cellulose, then it is from the same source as the cellulose for human foods. So have you checked to see if any of your foods have cellulose in them? Some common human products to have cellulose include: toothpaste, ice cream and yogurt. Cellulose is commonly used for both a fiber source and to assist consistency. So all cellulose is good? If you have read this far, I am sure you know the answer to this question. Some cellulose is fine and some is not. If you eat lettuce, the cellulose is safe. If you gnaw on the closest tree, the cellulose comes with a price.. your teeth, exposure to resins, and some critical stares from your friends. If you eat unprocessed cassava or maple cellulose, no it is unhealthy. If you eat properly processed food grade cassava or maple cellulose, yep, it is safe and can even be good for you. As I wrote this I noticed that my coffee creamer has cellulose gum and cellulose gel in it; and nope it isn't maple flavored! ;) The cellulose just helps balance consistency. So what is the take-home Myth Message? So whether it is accusations against food companies, drug companies or anything else, I recommend that you be skeptical and keep an open mind at the same time. This goes for evaluating both the accuser and the accused. While no company or product is perfect, I have often felt an underlying motive for the criticisms against Hill's. Namely that many of the people critical of it, are ready to sell you something else. This is not always the case but often. My one concern about many of the other diets is that they are AAFCO formulated and not AAFCO tested. AFFCO testing can cost upwards of 2 million dollars per diet! Most companies cannot afford this testing, which is used to ensure the bioavailability of the nutrients. It requires feeding dogs or cats the diet along with physical examinations and blood testing over a period of years before this label can be applied. So if you have the time and inclination to research a product, drug or plan before you try it, then I recommend this. If not, then I recommend that you get advice from a source that you trust. 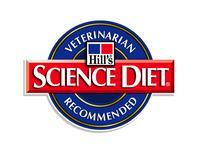 Can I only get Hill's Science Diet or other prescription foods from my vet? They are so expensive! There are several online companies which can deliver the foods right to your door. Most states require veterinarians to provide written scripts upon request. What are some of the Hill's Science Diet Prescription foods that I should know about? 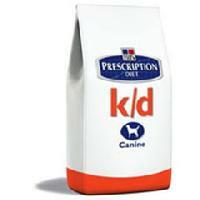 I will start with k/d as it is the very first therapeutic pet diet made. In 1943 Dr Mark Morris put Buddy, one of the first guide dogs for the blind on a special diet to address his kidney disease. Buddy improved greatly on the diet and Dr Morris began Hill's Pet Nutrition, Inc. It has been shown to double or triple the life expectancy of dogs and cats that are suffering from kidney disease. It works by not only balancing protein but also by reducing calcium and phosphorus levels, supplementing with potassium, reducing sodium levels, maintaining a neutral food pH (most all pet foods have a negative pH), and having high levels of omega 3 fatty acids. Tumors obtain their energy from simple sugars. Thus when a pet with cancer eats a carbohydrate (like bread, or corn) the tumor will steal the energy first; if the pet eats protein or fats, the pet will get the energy first. Also many tumors will "gobble" up arginine, an essential amino acid. These are reasons why so many cancer patients will lose muscle mass so fast. The diet also works by the addition of arginine and high levels of omega 3 fatty acids. 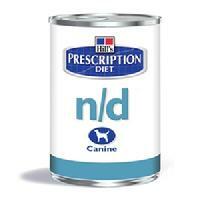 Due to the high protein to carbohydrate ratio, n/d only comes in canned form. Thus n/d is a high protein, high fat, low carb diet which has been shown to increase life expectancy in pets undergoing treatment for varying types of cancer by 17%. That is pretty good from just food alone! J/D is such a great food product that I have dedicated a separate section for it! For arthritic patients that can eat j/d it is an amazing option to help reduce arthritic inflammation, relieve pain and slow the degeneration process of osteoarthritis. J/D was designed to treat arthritis and osteoarthritis. While it does have some glucosamine and chondroitin, the main active ingredient is EPA Eicosapentanoic Acid. These omega 3 fatty acids reduce both inflammation and pain. 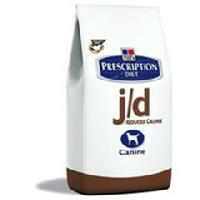 Each cup of canine j/d contains 3374mg of Omega 3 fatty acids. This means that for a 60 pound dog, you would need to give approximately 49 capsules of fish oil per day! CLICK on the j/d bag to the right to learn more. This weight loss diet has undergone a lot of changes over the years. The recent changes have included the science of nutrigenomics which is the study of the effects of nutrients on gene expression. The gene expression of obese animals is markedly different from the gene expression of healthy, trim animals. By adjusting protein, fiber, fat and carbohydrate levels along with adding nutrients like lysine and carnitine, the r/d diet changes the gene expression of obese animals to a profile that is much closer to that of a healthy, trim animal. By focusing on the nutrigenomics, the food has been shown to get dogs to a healthy weight faster and safer than by reducing calories alone. This is a feline only diet that was designed for diabetic cats but also works well to help obese cats lose weight. It is a high protein, low carbohydrate diet that addresses the type 2 NIDDM diabetes that many diabetic cats have. It can help reduce insulin requirements, stabilize blood sugars and even help some cats revert to a non diabetic state with the proper management. While it comes for both dogs and cats, the cat version is very impressive as it treats both common types of urinary crystals as well as addresses bladder inflammation which is a common cause of inappropriate urination of cats. It works not only be addressing pH levels (what some OTC "urinary health" diets use), but also by managing the calcium and magnesium levels, adding potassium citrate and vitamin B6 to inhibit crystal formation and by having high levels of Docosahexaenoic acid (DHA) from fish to reduce bladder inflammation. For pets that have food allergies, they are usually allergic to more than one protein in the diet. It is often to proteins from a diet that the pet has been on for years or all of its life. One of the downfalls of trying new proteins is twofold: 1) many of the once "novel" proteins, like lamb, are no longer novel so are not longer useful and 2) if the pet is in a highly allergic state, the pet will become allergic to the new (novel) protein that the pet is fed. So this is where z/d comes in. Z/d utilizes hydrolyzed soy protein - nope, no corn in this diet. Hydrolyzation breaks down the size of the protein so that the body cannot have an allergic response to the protein. Thus z/d is a totally hypoallergenic diet. How many of these diets does Hill's Science Diet have? b/d - brain diet. Used for cognitive dysfunction. Here is a podcast on Cognitive Dysfunction Syndrome. There are many others but these are some of the ones that I find particularly useful and innovative. Also Iam's Eukanuba, Purina and Royal Canin have many excellent prescription diets that are worth asking your veterinarian about. Well if you have made it to this point we have covered the three top complaints that are written on the internet about prescription diets and the rationale behind Hill's choices. We have also covered some of the prescription diets. However we still haven't covered why veterinarians chose to prescribe Hill's Science Diet and other prescription diets. And no it is not about profit. As a former hospital owner, I can vouch for the fact that the profit from prescription foods is minimal. The reason why so many veterinarians use and prescribe these diets is that they work. They work on helping improve quality and quantity of life for pets and there is a copious amount of scientific data and theory to prove it. So before a veterinarian even prescribes the food, the diet has been: scientifically designed for a specific purpose, tested to prove that it reaches that purpose, and tested for safety and nutrient delivery. This means countless clinical trials before it ever reaches a patient. So is Hill's Science Diet and other prescription diets better than all other foods? For the most part, we don't know because there isn't data to prove it one way or the other. And in a way, that may be an answer. 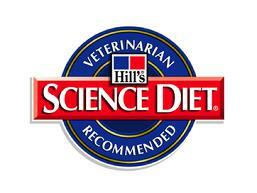 Hill's Science Diet has more pet nutritional studies than any other food company. Other over the counter dog foods have made sure that they follow AAFCO's standard but most all are lacking in any testing or data. It is important to point out that I am glad that there are so many skeptical owners when it comes to Science Diet. It has kept Hills on their toes to continually prove. They have removed some diets, completely overhauled others, and turned towards more natural sources of nutrition. When a company spends this much time and effort to create beneficial diets and to listen to the requests of their clients, then it is time for us to at least give Hills another look. Science Diet may not be right for every pet, but so far have helped increase the quality and quantity of life for millions of dogs and cats around the world. 6 SanGiovanni JP, Chew EY, Clemons TE, et al. (September 2007). "The relationships of dietary carotenoid and vitamin A, E, and C intake with age-related macular degeneration in a case-control study: AREDS Report No. 22." Arch. Opthalomology 125 (9): pgs 1225-32. doi: 10.002/archopht.125.9.1225. PMID 17846363. http://archopht.ama-assn.org/cgi/pmidlookup?view=long&pmid=1784636. 7 "Associations between age-related nuclear cataract and lutein and zeaxanthin in diet and serum in the Carotenoids in the Age-Related Eye Disease Study, an Ancillary Study of the Women's Health Initiative. http://www.ncbi.nlm.nih.gov/pubmed/18332316. 8 Roudenbush P Ingredients associated with adverse food reaction in dogs and cats Advanced Small Animal Medical Surgery 15(9) pgs 1-3 2002.